You’ve been dreaming of this trip for years and the time to embark is finally approaching. From soaking in the great art of Paris to soaking in the Caribbean sun, your first international trip is one of life’s greatest adventures. But, first you’ll need to tackle your first international flight and despite what the cliché says, getting there is not half the fun. With long security lines, cramped seats and an overwhelming urge to “just get there already”, flying internationally is the necessary struggle that precedes great joy. To make it to your destination rested and in good spirits, you’ll need a few tools to help you mange the long flight. Whether you select an Android or Windows device, tablets are the final travel accessories. Not only are tablets capable of doing everything a laptop does, they are much easier to travel with. Plus, they will prevent you from being that guy at airport security who holds up the entire line by struggling to take his laptop out of a bulky case. Tablets are lightweight and slim enough to slip easily into a carry-on or purse, and they don’t need to be taken out at the security checkpoint. Packing your tablet with apps is almost as important as packing your luggage. Remember as a kid when you packed a bag of games, magazines and books to keep yourself entertained on road trips? Loading your tablet with apps is the same thing, only it’s less bulky. Though some airlines are starting to offer Wi-Fi on planes, it’s safer to download all the books, movies and games you need before boarding, and stick to apps that can be used offline. 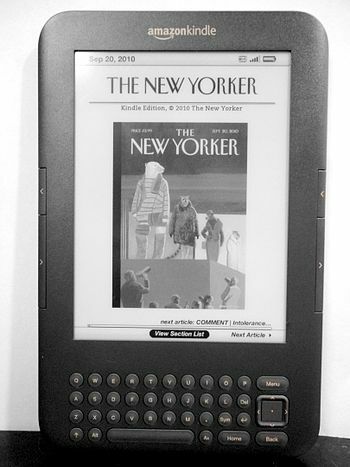 The Kindle app is Amazon’s digital bookstore with over a million titles. Though the app is free, you’ll need to buy whatever thrillers, mysteries and cheesy romances will help you pass the time. If you’d rather have a story read to you, Audible offers a wide range of titles for purchase through the free app. For movie and television lovers, Google Play Movies & TV is a free app that allows you to buy episodes, series or films. You can stream your selections while waiting to board or download them for some mid-flight entertainment. The Word Search app condenses the classic travel game into the palm of your hand, while Temple Run and Candy Crush both offer mindless ways to pass the time. They are all available at the Google Play store. Halfway over the Atlantic and halfway through your e-book is no place for your battery to die. You’ll be forced to spend the next several hours staring at the seat back in front of you and wondering if the characters got out of that precarious situation or found true love. To make sure your devices stay charged, grab a portable charger, like the MyCharge Powerbank USB Charger from Bestbuy. These handy devices, which start at just under $30, can charge your tablet or cellphone midair, even when you don’t have access to an outlet. It’s also a good idea to charge your devices at the airport before boarding. Get to the waiting area of lounge early and try to grab one of the coveted seats near an outlet so that you can board the plane with greatest power on all your devices. Madeline is a full-time hobby woman. She loves everything from playing the ukulele to sewing custom Native American Apparel Destination. Sono : your next step to noise free indoor environment.